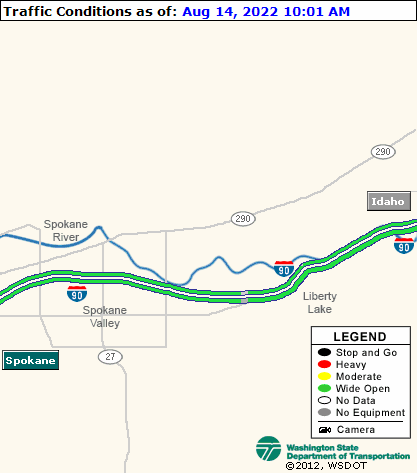 Spokane County: Construction work resumes this week adding culverts, guardrail and paving. The speed limit has been reduced to 35 MPH. There will be lane restrictions and an upcoming two week closure. Expect delays during construction work.